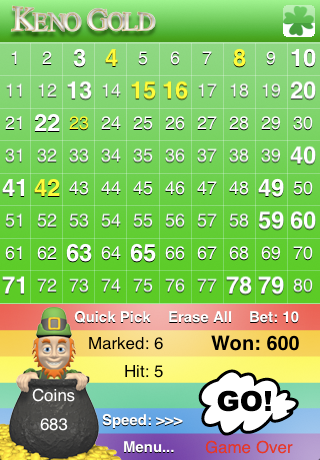 Keno Gold is a Free Keno game for iPhone, iPad or iPod Touch! Keno Gold for iPhone and iPad is traditional keno gameplay plus exciting bonus features such as Free Games, Game Multiplier and Extra Balls to enhance the experience. 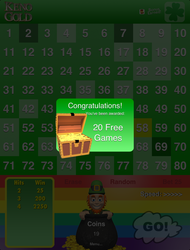 This free iPhone keno game is great for people age 18 to 81. 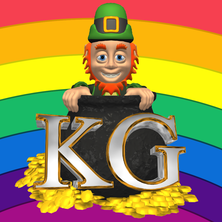 Keno Gold provides hours of fun and enjoyable gameplay with rich graphics and casino-style sounds. 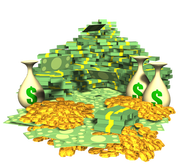 You'll feel like you're at the casino, except that you'll still have your money when you're done! 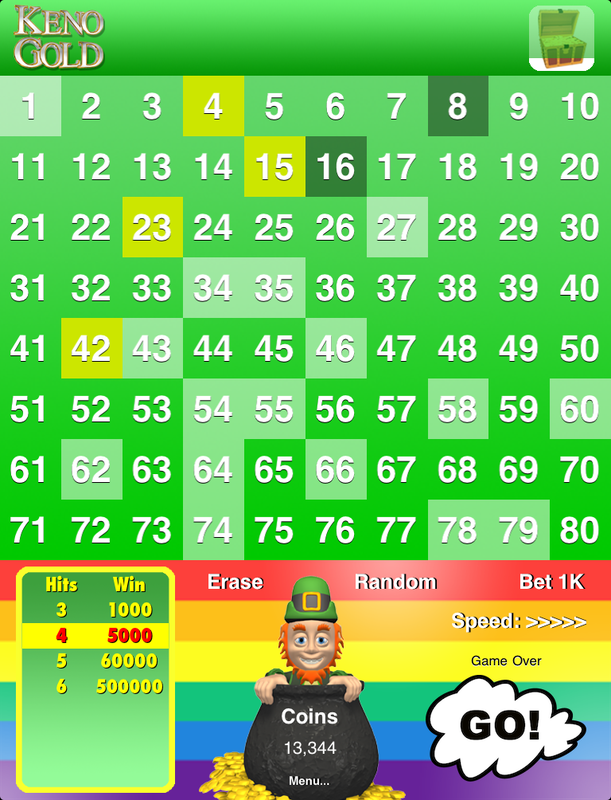 • OH, AND IT'S A FREE KENO GAME for your iPhone, or iPad! One of the most popular games in the world is Keno. One of the most popular phones in the world is the iPhone, so the fact that you can play Keno on your iPhone is a great match. 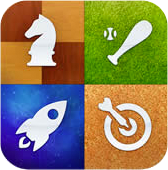 There are many keno games for the iPhone and Keno games for the iPad. If there is a Keno game variation that you would like us to make, please contact us and let us know. If you like other casino games like poker, Texas hold 'em, slot machines, roulette, or black jack, then you'll want to add this exciting Keno game to your iPhone or iPad's collection! 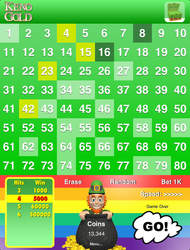 There are many iPhone keno games, and even some iPad keno games, but Keno Gold is a universal Keno app that allows you to play Keno on the go. Since it's a universal free keno app, that means you don't have to buy it once for your iPhone and again for your iPad. And since it's a free Keno Game, you don't have to buy it at all! You'll be able to enjoy this free iPhone Keno game and save money from going to an actual casino. Click here to learn how to play Keno Gold. 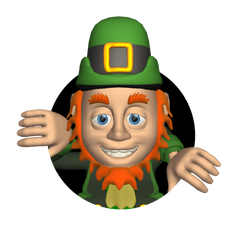 In Keno Gold, we give you 100 FREE coins to play with every time you run out and you also have the option to get even more through Apple's in-app purchase. 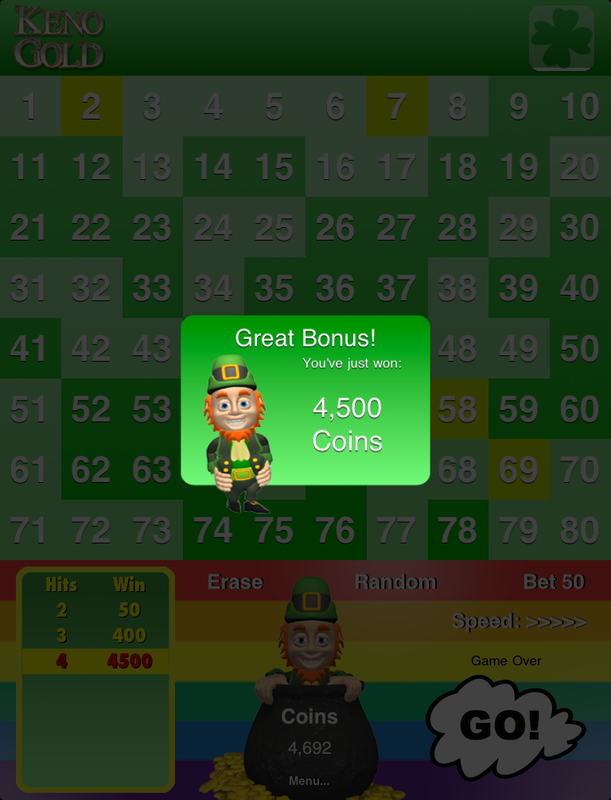 So you can play Keno Gold for your iPhone or iPad and see if you can beat others high scores on the leaderboards! 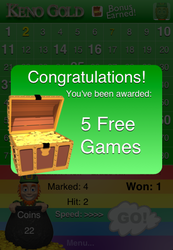 Game Center Achievements & High Score Leaderboards! With Apple's Game Center Integration, you'll enjoy competing with others on the High Scores Leaderboard and competing against yourself earning achievements when you get a 2-Spot, 3-Spot, on up to 10-Spot! 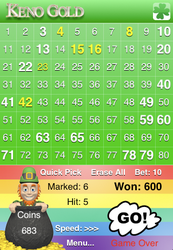 Keno Gold for iPhone and iPad also includes "Spot Leaderboards." This means that you can keep track of how many 2-Spots (through 10-Spots) you've hit. These bonuses are lucky... but luck isn't always good. Sometimes, there is a chance that your bonus could be 10 x zero, or out of 5 free games, you may not win anything. 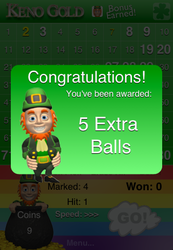 You may not get any more hits with your five extra balls... that's just the way luck is. Bimza Games doesn't cause or prevent this. "I love the auto play on this iPhone keno game! " 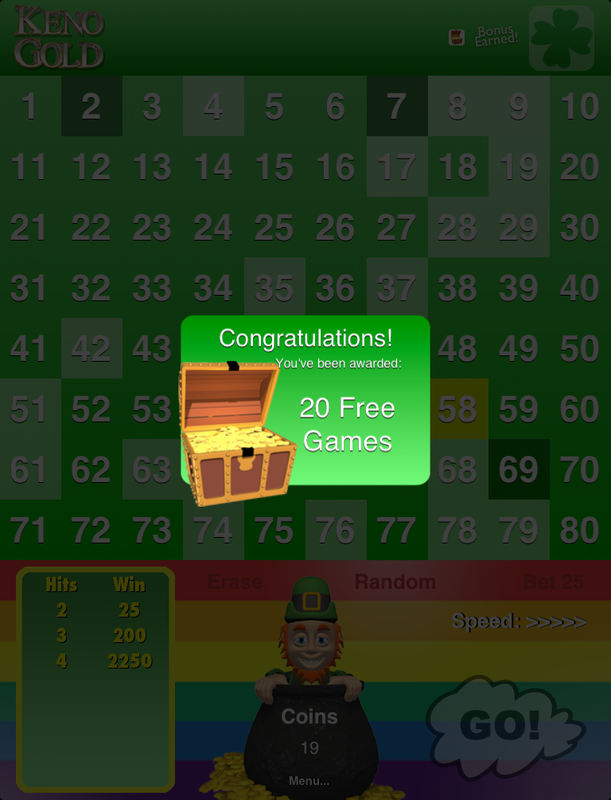 - B D.
Hundreds of people around the world play this great free keno app every week. Their scores are tracked on Apple's Game Center leaderboards. Join the fun! Download this free iPhone Keno app today and see how high you can make it on the built-in leaderboards. Try to hit a 10-Spot in Keno Gold and you'll certainly be in an elite keno club.